Since embracing digital technology in daily workflow, transcriptionists across the world have been grappling with dictation and transcription software and foot pedal compatibility. Traditionally transcriptionists working within legal, medical, accounting and insurance professions have used the same brand of software and hardware as the dictators’ dictation devices. 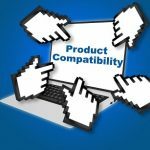 There have been a number of compelling reasons for this, the most critical being the opportunity to eliminate potential software and foot pedal compatibility issues. Other reasons have included improving workflow integration, brand loyalty, and possessing historic familiarity with the brand product. Times have changed and attitudes have shifted. While manufacturers worked at finely honing proprietary components (consider the collaboration between Olympus, Philips and Grundig in developing the most widely used digital audio file format, the proprietary .DSS), end users, such as transcriptionists, clamoured to have their voices heard. Transcriptionists wanted something simple, inexpensive, and effective; something which would work across multiple and disparate platforms, reflecting the changing nature of their work in today’s fast-paced and multi-faceted environment. Enter the Olympus Foot Switch Configuration Tool, probably one of the most useful apps in the transcriptionists’ professional typing arsenal. The Olympus Foot Switch Configuration Tool (FTSW Tool) enables an Olympus RS-28H or Olympus RS-31H foot pedal to be compatible with most third party applications. Foot pedal compatibility is now a thing of the past. If your application supports control via keyboard commands, then you can use the RS-28H or RS-31H foot pedal for hands-free control. 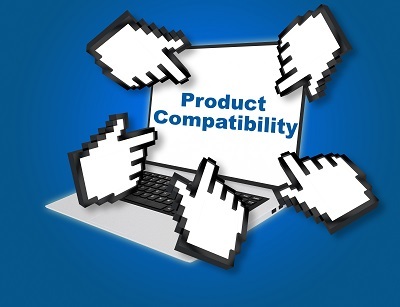 What’s more, the RS28H and RS31H, in conjunction with the FTSW Tool, can be used with third party applications in both Windows and Mac environments. Transcription software such as NCH’s Express Scribe Professional, Philips SpeechExec Pro and SpeechExec Standard, Winscribe, For The Record (FTR) and Karisma, can all be used with an Olympus RS-28H or RS-31H foot pedal, in conjunction with the FTSW Tool. The release of the new Olympus foot pedals and the free configuration tool has fundamentally reset the transcription software and foot pedal compatibility dynamic. The question is no longer “which foot pedal is compatible with my transcription software”, but rather, “which software application is NOT compatible with my Olympus foot pedal”. The FTSW Tool is not just for transcription applications. The FTSW Tool can be used with most apps which support control via keyboard commands, enabling hands-free control. many Computer Gaming apps (i.e. Call of Duty 4: Modern Warfare). The Olympus RS-28H and RS-31H foot switches, via the configuration tool, have two operating modes, “Olympus” mode and “Keyboard” mode. If you want a foot pedal which is compatible with most third-party applications, is simple to use and configure, inexpensive and robust, then look no further than the Olympus RS-28H or RS-31H foot switches. They will revolutionise, AND simplify your world! My name is kathleen and I am a Medical Transcriptionist. I am not sure wherher yiu can help me on this. If not, will you be able to advise me who would be the best people to contact? i have been using an Olympus RS 28 foot switch and have never had any problems. Recently I bought a PC (HP 411 slimline). I set my new computer on with all i needed i.e. Microsoft Office 365, internet etc and all working according to plan. I have one problem though, my foot pedal is not working. I have to admit that I am not very good when things dont go according to plan on a computer and the slightest thing can make me feel anxious. I’m sure I have to download some sort of software am i wrong? I found on the internet a Olympust RS 28 foot pedal driver download link. Wiuld this be the missing link? Because I am not comfortable with this side of things I am not sure what to do…. I fear I mighg run into more problems. Hi Kathleen, thank you for your query. It sounds like you may not have installed any transcription software on your computer? Can you remember what transcription software you were using previously? If you were using an older Olympus RS-28 foot pedal on the old computer, you may have also been using older Olympus transcription software, such as DSS Player Pro Release 5. If this is the case, you can purchase the latest version of Olympus transcription software, which is called ODMS Release 6 transcription module (Olympus Dictation Management System – AS-7002) from our online shop. 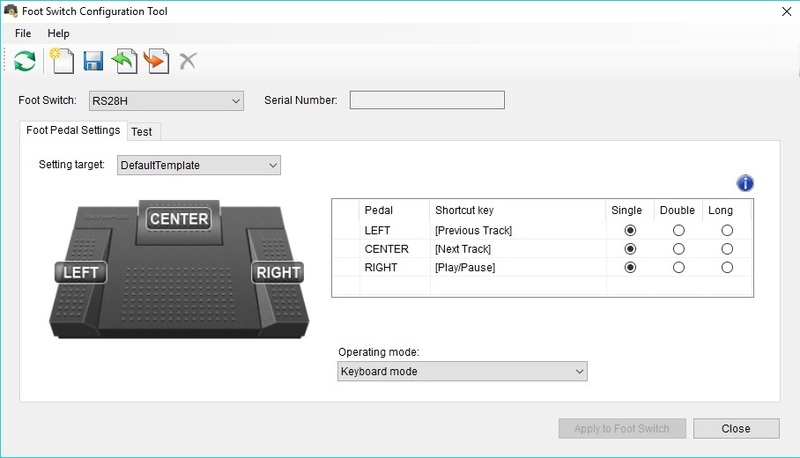 If you were using other transcription software, and you have an RS-28H foot pedal (the RS-28H and RS-31H foot pedals were released in December 2015), you can use the configuration tool to enable the foot pedal to work with the transcription software you have installed on your new computer. In most transcription software you need to also run the foot pedal controller wizard, which enables you to customise the foot pedal to your desired settings, and also lets the software know which foot pedal is to be recognised. Keep in mind also that from time to time USB ports have a little difficulty recognising USB devices – switching USB ports often solves this issue. However as you are using a new computer, this is most likely not the case. I hope this information helps. Good luck in the troubleshooting process. Do you know if you can set the pedal to control iTunes in the background, and still type in MS Word? I hope that question makes sense… I have a macbook pro and am looking at buying the RS-28H. I want to know if it will control my audio in iTunes whilst allowing me to type in Word. If you can offer any insight/reassurance that would be great. Hi Laura, thank you for your query. I’ve not personally tried the foot pedal with iTunes; however if iTunes permits the use of hotkeys/keyboard shortcut keys, then in theory the RS-28H foot pedal would be able to carry out the function you require, used in conjunction with the Olympus Footswitch Configuration Tool. I’ve tried the RS-28H foot pedal with Windows Media Player, by first configuring the foot pedal with the Footswitch Configuration Tool, and the foot pedal is able to easily apply the following functions: play/pause, next track and previous track. I was able to listen to the music in Windows Media Player, control the music with the foot pedal, and at the same time type into a Word document or Excel spreadsheet. Give it a try and do let us know how you go. Do you know if the RS 28 foot switch is comppatible with Express Scribe Pro transcription or do I have to buy a new foot pedal in order to use this software. Hi Jenny, thanks for your query. We’ve had no problem using Express Scribe Pro with the Olympus RS-28H foot switch. Just remember to make sure the foot switch is set to Olympus Mode, via the foot switch configuration tool (FTSW), and ensure you’re using the RS-28H foot pedal, not the older RS-28 version (the older version foot pedal won’t work). Hello, I just bought a RS28H Olympus pedal which is recognized by the FTSC software, I bought also ExpressScribe, but the pedal is not recognized in it ? Even if I switch from keybord to Olympus mode in FTSC ? Mac 10.11 Could you help me ? Best regards. Hi Jean, When using Express Scribe Pro with the Olympus RS-28H foot pedal we’ve found setting the foot pedal to Olympus Mode, via the Configuration Tool, works well. Please find below instructions for setting up the Olympus RS-28H to work with Express Scribe Pro. A common mistake made by people when first using the Configuration Tool is to re-open the Tool to check the settings, before disconnecting the foot pedal from the computer. Try to resist this temptation. 1. Disconnect the RS-28H from the computer. 3. Connect the RS-28H to the computer. 4. In the Configuration Tool set the foot pedal to Olympus Mode. 7. Disconnect the RS-28H from the computer. 8. Open Express Scribe Pro. 9. Connect the RS-28H to the computer. 10. Set the functions of the pedals as per the Express Scribe Pro controller setup wizard. Oh thank you ! it works but the pedal is recognized as a 27, not a 28H … however it seems to work normally. The process to get it was not really intuitive !! Thanks a lot. Hi Jean, glad to hear the foot pedal and software is working for you. Happy transcribing! Hi Cynthia, I’m sorry to hear you’ve been having problems with the Infinity foot pedal and FTR. Have you contacted FTR for assistance and advice? I know that the FTR website used to list the Infinity foot pedal as being compatible with their transcription software. As FTR does support keyboard commands, there’s no reason I can think of that would preclude the Olympus RS-28H from working with FTR. (I would however, avoid the RS-31H – we’ve had mixed success with that pedal.) If you do give it a try, do let us know how you go. We’re always keen to hear new pieces of information from typists testing out different software, and making recommendations! Good luck. Can you please tell me if the Olympus RS31H foot pedal is compatible with Express Scribe Pro transcription or do I have to buy a new foot pedal in order to use this software? I have downloaded the free configuration tool and have a Windows computer. HI Leeanne, thank you for your question. In theory the Olympus RS-31H foot pedal should work with most third party applications, which support keyboard commands, such as Express Scribe Pro transcription software. However, we’ve had mixed success in using the RS-31H with Express Scribe Pro. We’ve had no problems using the RS-28H foot pedal with Express Scribe Pro, but have had intermittent problems using the RS-31H. One solution we discovered was to ensure the 4th pedal on the RS-31H is disabled/locked. This has worked with some RS-31H foot pedals, but not every time, and not with every pedal, which is a real shame. I’m not sure why the RS-31H foot switch doesn’t work all the time, but in light of this I would recommend avoiding the RS-31H foot pedal, if you plan to use it with Express Scribe Pro. Try any one of the NCH compatible foot pedals, as listed on their website. There are a number to choose from, when using Express Scribe Pro. Good luck.